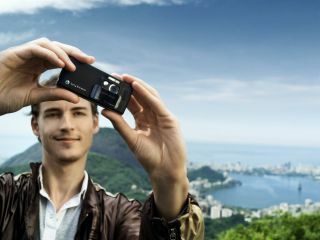 A competition to find the Cameraphone Photographer of the Year has been launched by Sony Ericsson . Sony Ericsson is running a competition to find the UK's best mobile snapper in conjunction with two magazines and The Times newspaper. The competition - which Sony Ericsson is calling 'The Search' - will look for top cameraphone shots in three categories: Fashion, Adventure and News & Sport. On entering The Search website , people can upload cameraphone pictures, view other entries and sign up to receive text and email alerts. The text and email alerts will include challenges set by celebrities with the chance to win Sony Ericsson handsets and other prizes. Sony Ericsson will be awarding monthly prizes to winners of each category, with a shoot out challenge to find the ultimate winner. Sony Ericsson will be staging a gallery exhibition of the best entries at a London venue. The winner will go head-to-head with other national winners in a global imaging competition, World View.